For years, we have been known as publishers of online magazines and website builders in the electronics and kitchen sectors. Rebranding our company to Niwzi Media Group gives us the chance to emphasize our services of providing a complete array of valuable content. The name ‘Niwzi’ is a coming together of the words ‘news’ and ‘magazine’. We want our new company name to accentuate one of our strongest points: giving compelling product information as soon as a new product hits the market. 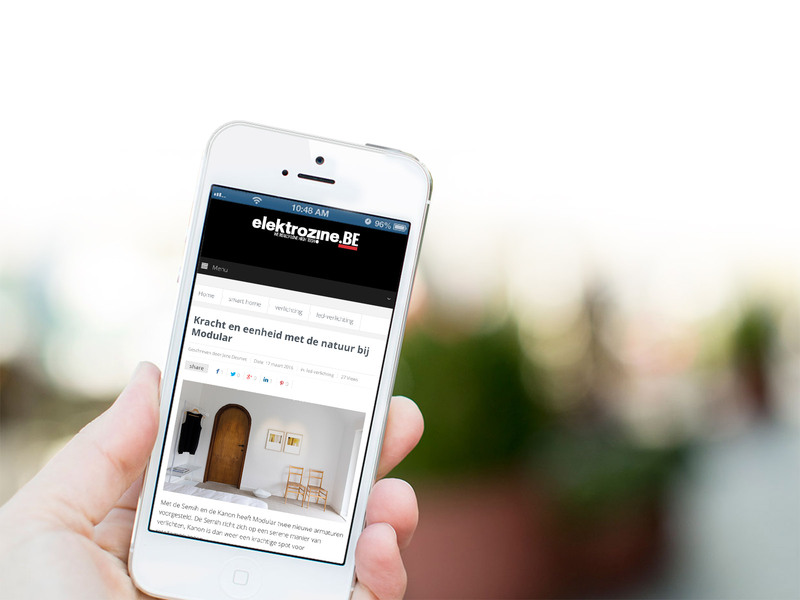 With a variety of articles, our three online magazines elektrozine.be, cuizine.be and decozine.be – which were all given a new look and feel, by the way – serve as a catalyst for our readers (including one out of two Belgians) to redirect them to retailers, who in turn hold service and craftsmanship very dearly. Our magazines focus on news, articles, reviews, tips and special features. Detailed product information can be found on our brand new website: niwzi.be. Here, our readers can easily search for a product and then get referred to a retailer of their choice. Up until several years ago, our focus was mainly aimed at building websites for electronics and kitchen retailers. Over the years, our company has evolved and now offers a complete package. From now on, we also house solutions for retailers in the world of furnishing or design, for specialists in stoves and furnaces, and we’ve also made our first steps (or should we say, rides?) in offering the same advantages for bicycle stores. Not only do we build modern websites and webshops fully adjusted to our clients’ needs, we also assist and advise retailers in regards to their on- and offline communication. Our goal is clear-cut: to lighten to load of the entrepreneur and prepare him or her for new developments in the online world. Moving into a new office was a perfect step for us and the exciting direction our company is going. Our new workspace is bigger, with more meeting rooms and booths for professional training. Fifteen years ago, we founded elektrozine.be, an online platform and magazine with product information and interesting articles about all things electronic. The launch of ShopOnSite in 2008 meant we could offer retailers their own website. 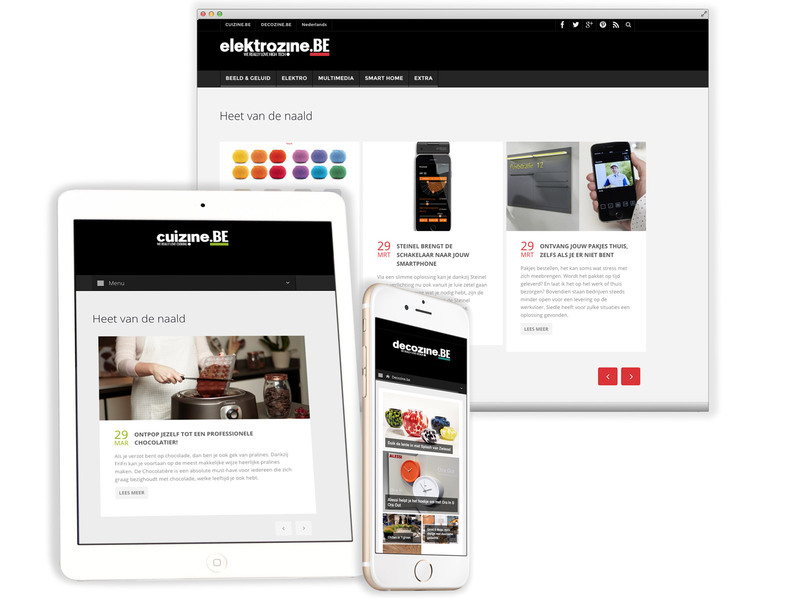 The online magazine and ShopOnSite are connected to each other through the products and articles found on elektrozine. When our readers find a product they are interested in, they are only one click away from our client database of retailers where that particular product can be bought. In the years that followed, we used the same principle in other sectors. Since 2009, kitchen and cooking stores find a great partner in cuizine.be, and since 2014 decozine.be is the go-to online platform for decoration and interior design stores.